The Second Chinatown street (Tha Din Daeng Market) is not a famous tourist attraction but it is a real local market and real local people live here. Most people who live in Tha Din Daeng still conserve their unique tradition of Chinese lifestyle. Walk through a local alley to Tha Din Daeng and explore the local community , pay respect at the local shrine. Try different local street foods (Have a lunch here) in Tha Din Daeng Market ( little China town ) and visit a fresh market. The travel time will be about 30 - 60 minutes due to traffic condition. Check out the different local communities on the other side of Chao Phraya river, try different local street foods and dessert, and explore around historical places. 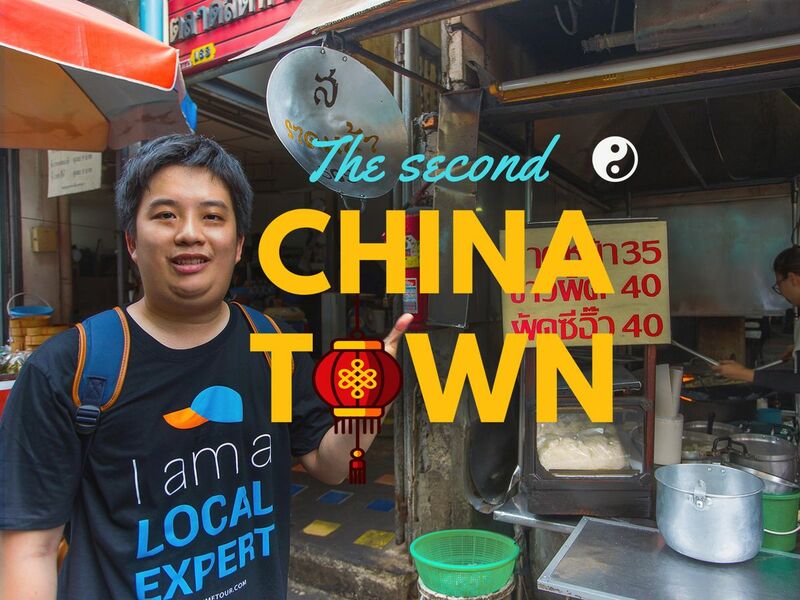 Unlike other trips in Bangkok City, we will explore different local communities that are on the other side of Bangkok's CBDs. Charles did quite a good job on introduce me around with local place....which as per promised no tourist place at all....how lucky am i get to visit the exhibition about the late king~ of cuz not to mention about the local food that he brought me to....is reali nice of him....who also brought me to find the mookata pot which i think im not able to make it without him...charles is so thoughtful, always make sure i do feel enjoy and relax during the tour..will definitely recomm3nd to my friends around who coming to bkk sooner or later. I booked a tour on a very challenging date: both river and lots of streets in the centre were closed. Fortunately Chawana handled it great and adjusted the tour to make the most of it.